We stand for adventure. Suunto Movescount is designed to be your partner, whenever and however you conquer new territory. Track your distance, speed and calories, see your move history at a glance; personalize your moves, including feelings, photos and descriptions that make them memorable. Create a unique Suunto Movie of your Move with a rich 3D map, that can incorporate your own photos, and share it with your community. Plan your Moves like a local with heatmaps and explore the most popular routes near you, wherever you may be. Sync your moves in real-time to movescount.com. movescount.com is a community of sports and adventure-minded individuals. Here you’ll find kindred spirits making moves around the world. It is the place to share, connect, inspire others and be inspired through adventure and achievement. Find the Suunto device that best suits your personal training goals and spirit of adventure to enjoy the full Suunto experience. iPad 3rd generation and later, iPad mini/iPad Air, iPhone 4s and later. iPod touch 5th generation. 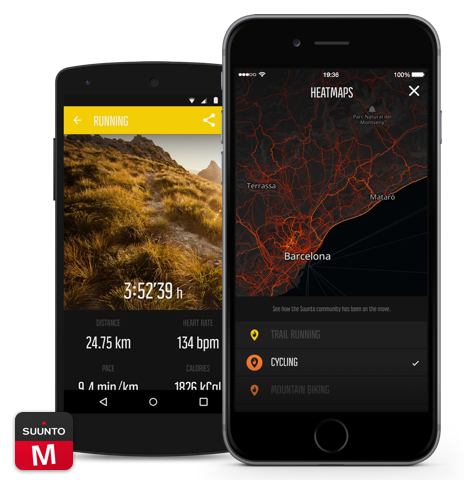 Find Suunto Movescount App from the Apple App Store or Google Play. Install and launch the application. Enter your Movescount credentials or register. Use Suunto Movescount App together with your smartphone to capture your Moves or pair it with compatible Bluetooth® Smart devices to get even more. 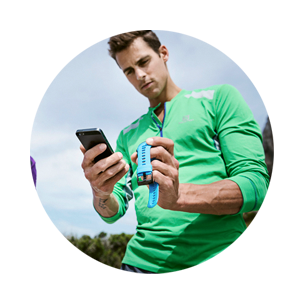 When paired with Suunto Ambit3 Peak, Ambit3 Sport or the Suunto Smart Sensor, you get additional features such as using your smartphone as a second display of your sports watch. Read more about compatible Suunto products.